Large vehicles travel through them, vegetables and fruit grow from them, and animals from large to small inhabit them. It is the mecca of activities for the entire family during every season in New Jersey as each time of the year brings an opportunity to pick a different fruit or vegetable. Most farms have a petting zoo which provides children an infinite amount of joy. They are fascinated with feeding cows, sheep, and ducks (to name a few). In recent years, farms have been expanding their offerings. Don’t be surprised if you see enough variety to keep your family at the farm for a full day visit. From pony rides to sandboxes or corn bins to hay pyramids and tours to even gluten-free workshops and camps. It is a cornucopia of activities! To identify animals as they stand before your baby or toddler, carries so much weight as they are absorbing vocabulary words. As they become preschoolers, you can begin to identify differences in male vs. female vocabulary in regards to the animals. For example, a duck can now be a duck, drake and a duckling. Another example is that you can identify different breeds such as: Highland cow, Angus, Holstein, etc. Beforehand, I introduced my children to the animals they would see by looking at books such as Moo or 1001 Things to Spot on the Farm. After the trip, they loved reading the books because now they had an authentic connection with the two-dimensional pages. Exposing your children to different experiences expands their comprehension of the world that surrounds them. There are so many sensory opportunities at a farm: the textures of the animal fur, the dryness of the hay, the wet grass and the smooth vegetables from the farmer’s market, just to name a few. Farms offer a wide variety of contrasting tactile experiences for children. As they roam and touch things, let them enjoy all the information that they are absorbing. Carry antibacterial soap if it makes you feel more comfortable but their little minds are processing information at alarming rates. Ask them to describe what they feel as well as identify words of different textures (smooth, dry, wet, silky, furry). Imagine all the smells that will bombard their noses (or if that is an unpleasant thought don’t imagine all the smells of the animals). As you come across an unusual smell, identify it and where it is coming from. It is not just the smell of the animals, but the grass, the feed, the flowers, the fruit and vegetables you are picking along with the fresh air. One of my favorite places to relax is the oversized sandbox at Donaldson Farm that surrounds a tree. Children flock to this location as do parents but all for different reasons. Children love playing with the various dump trucks and pails. Parents love this space because it is so large several children can play while they take a break. 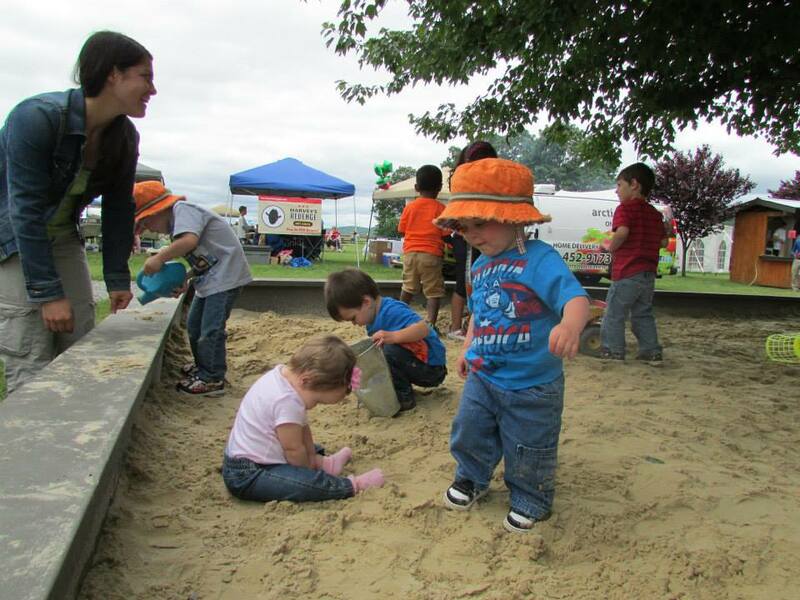 An oversized sandbox will be fun for everyone. Do you read to your children about the farm? If so, have you ever thought about taking them to a story time at the farm? If so, Ort Farms has story times on Wednesdays during the summer. While there is a nominal fee this may be a great space for children who gravitate towards the outdoors. Terhune Orchards also offers a great story time program in the summer. Other farms offer story time with Santa and/or Mrs. Claus in the winter. It is surprising how many children don’t have a full understanding of where our food comes from! By visiting a farm they can see firsthand where and how they get their favorite foods. Taking children to the farm exposes to them to the understanding that plants are grown and meat comes from animals. Based on their age, maturity and emotional sensitivity, you can introduce different concepts during your visit. For young toddlers, you may just identify animals and food. For older children, you may want to discuss scientific concepts. During a summer road trip to the Berkshires, we stopped at a farm in New York for lunch. The farm had a self-guided tour for children. The children would pick up a sheet of paper and walk to different stands on the farm. As they read (or their parents did) information they could press a stamp on their passport sheet. It was such a clever idea and my son had a great time collecting stamps, and I loved that he was learning about farm life. My son enjoyed collecting stamps on this self-guided tour. Farms are offering unique academic information. Beyond the story time and tours, there are ample opportunities for children and adults to learn more. For example, Donaldson Farms hosts Gluten Free Workshops, and Brookhollow Barnyard hosts camps for kids. Get outside and play! Farms are educational playgrounds for young minds. Being active is not only fun, it also promotes a healthy lifestyle. Corn mazes will get your kids walking (and running) while hay pyramids gets them climbing. Don’t forget about the corn boxes that offer endless fun! At corn mazes, children will not only get plenty of physical activity (some of them take hours to complete) but they will also engage their brain in problem solving skills. Some corn mazes like the one at Alstede Farms has trivia questions at each stop which also adds to the excitement and learning. I know it may be hard, but let your kids decide which way to go. They can be strategic by following the map or just use a trial-and-error method. Either way, they are boosting their cognitive development! Fine motor skills are constantly being developed when you pick your own fruits and vegetables. Our favorite season is early July for strawberries. Watching my daughter carefully remove the strawberries from the plant at Donaldson Farms was the best motivator because then she proceeded to pop them in her mouth. Those little fingers love to pick fruits and vegetables especially when they can taste the fruits of their labor (sorry for the intended pun). As well, when children have the opportunity to feed animals at the petting zoo that is an opportunity for them to improve fine motor skills as well. The seeds to feed the goats and sheep are tiny and so they need to manipulate their hands so that they don’t drop the food. There are so many ways to boost gross motor skills as well. 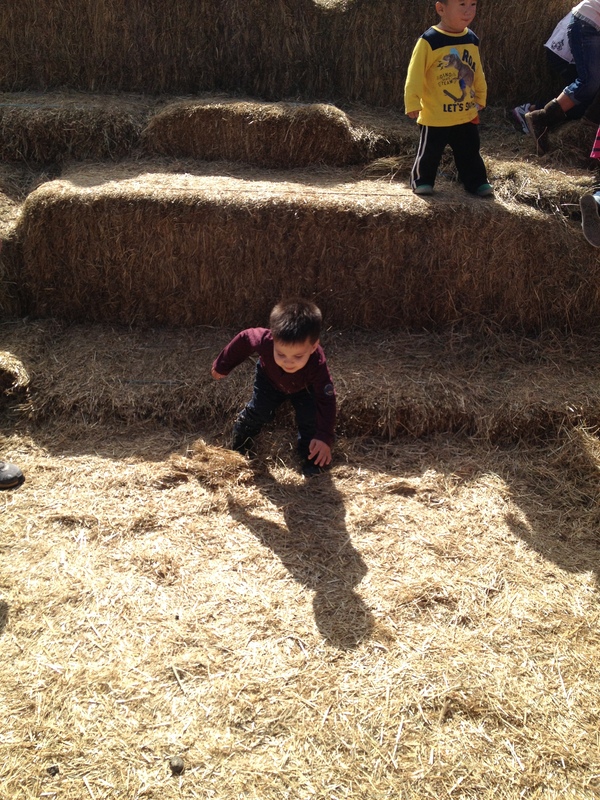 Children can climb the hay pyramids at locations like Alstede Farms or run through the hay bale mazes like those at Heaven Hill Farm and Terhune Orchards. Jumping off the last step on the hay pyramid requires skills. Farms offer so many opportunities for kids to learn about science. Kids are introduced to botany (the study of plants), agriculture and horticulture (the cultivation of various fruits, vegetables, herbs, flowers and more). There is so much science involved in planting and growing fruits and vegetables. Educational hay rides like those offered at Donaldson Farms helps families understand all the steps involved in making produce. Animal science is also introduced at farms as kids learn what animals thrive on a farm as well as what they eat and how they interact. 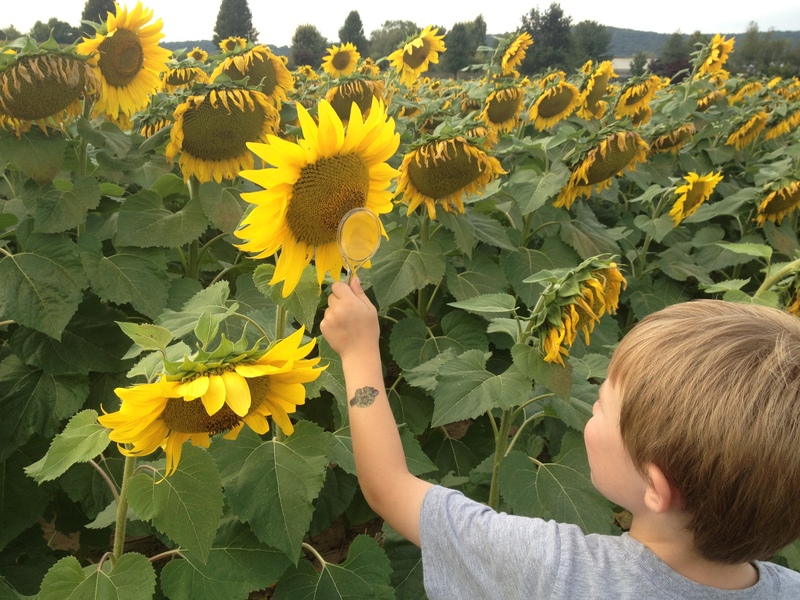 Tyler loved looking for all the pollinators during the Donaldson Farms Educational Sunflower Tour! Pick your own farms will have the children motivated to pick their own food which also gets them eating a wider variety of fruits and vegetables. When I asked my toddler son what color apples were he answered red. Apparently, his world had not yet seen a green or yellow or ombre apple. By taking him apple picking at Wightman’s Farm he not only saw different apples but he also tasted the differences in the varieties himself. 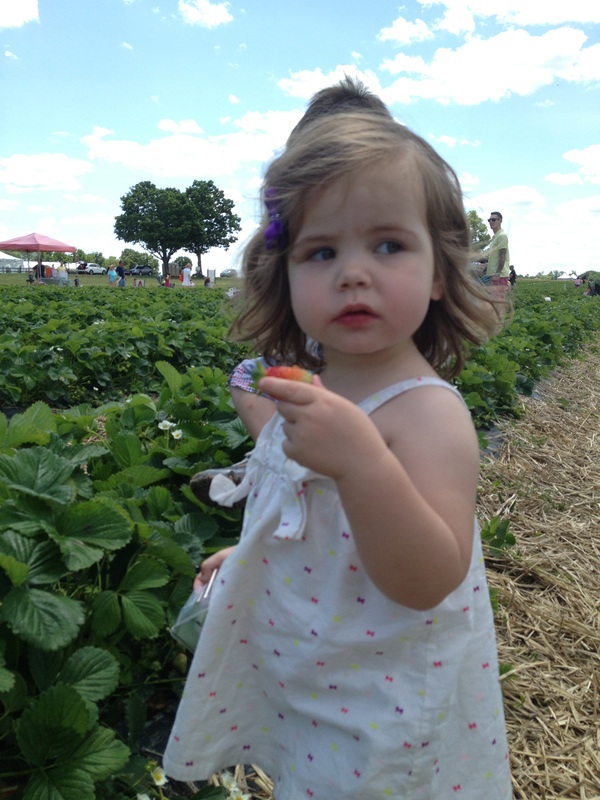 Visiting different farms will introduce your children to different types of produce. Experiment and try some of these unique variety of fruits and vegetables. Encourage some risk taking (but ask the farmers recommendations on how to prepare the food to ensure you are not setting up this experiment for failure!). 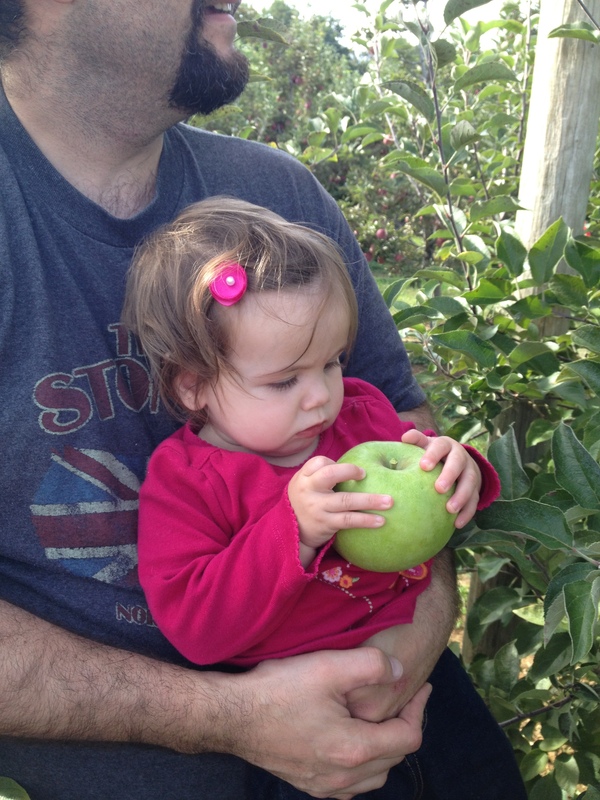 There are so many varieties of apples at Wightman’s Farm the kids loved testing most of them. What farms do you visit and what are your favorite parts about those farms? 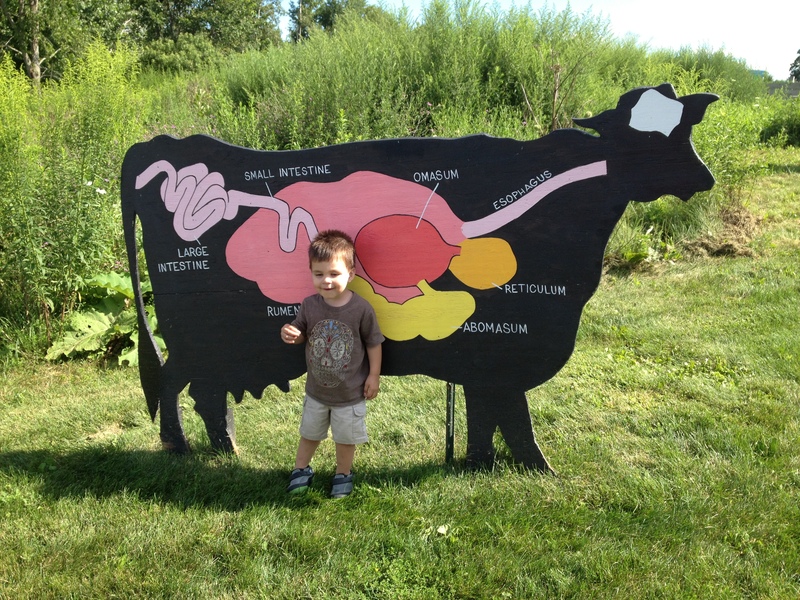 My sons favorite thing at preschool last year was when Quiver Farms visited! I bet you had a blast!! Farms make for great school field trips! There is a farm down in Cape May that I’ve been wanting to take the kids to called Beach Plum Farm. Great post about all of the benefits! Thank you so much! Have fun at the farm!! I like that you mentioned how educational it can be for children to visit a farm. My sister has two kids and wants them to feel close to nature. She wants them to understand how things grow and where their food comes from. She should look into taking them to an apple orchard or local grower for a fun family trip. I like how you mentioned that petting zoos can help improve fine motor skills. I have always enjoyed animals and want to pass on the love of animals to my children. I’ll have to consider the physical benefits and fund of a petting zoo while planning my next vacation.